Honda Insight | Which Three Distinct Factors Led to Failure of the Honda Insight? What’s the first thing you think of when you hear the term “hybrid car”? Chances are your mind goes immediately to the Toyota Prius, the current reigning champion of the entire hybrid market in America. Though it was introduced into the U.S. auto market in 1999, the Prius actually wasn’t the first hybrid available — that distinction belongs to the Honda Insight, introduced a full seven months earlier. And as of right now, the Insight has been pulled from the market here in the U.S. because of slipping sales. When the first Insight was launched in 1999, it boasted an impressive 53 miles per gallon for combined highway and city driving. That made it the EPA’s choice for best fuel economy in the world. 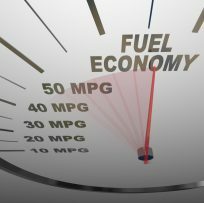 However, subsequent design changes to the model (including adding more seats) decreased the MPG, thus allowing the Prius to usurp it in terms of sales. The Insight never recovered, and earlier this month, Honda dealers announced they would no longer be ordering more Insights for their lots. Batteries in hybrid cars are tricky things to begin with, because they don’t operate quite the same way as those in gas-powered vehicles. But the Insight (as well as other Honda hybrids like the Civic) tends to run through its battery quite quickly, sometimes within a matter of only six or eight years. Consumers purchase the hybrid in the first place because it’s purported to be less costly in the long run, but a Honda Insight battery replacement after only six years is bound to put them back at least $4,000 — unless they find a third-party provider, of course. Aside from hybrid battery problems, Honda may have its hands full trying to keep all its hybrid offerings straight. The Insight, though initially introduced as a subcompact, was fleshed out into a sedan similar to Honda’s other hybrid models, the Civic and the CR-Z. But that left consumers with three choices for a hybrid sedan, so which one should they pick? Clearly, most have not chosen the Insight. Toyota, by comparison, offers its stellar Prius as the only one in its class. Blame fuel economy, battery problems or company indecision — at the end of the day, Honda failed to give consumers a lasting reason to stick with its Insight model. If you’re looking for a new hybrid vehicle, that’s no reason to abandon Honda entirely, but make sure you do your homework so the same thing doesn’t happen to your Civic, CR-Z or another vehicle in the future.